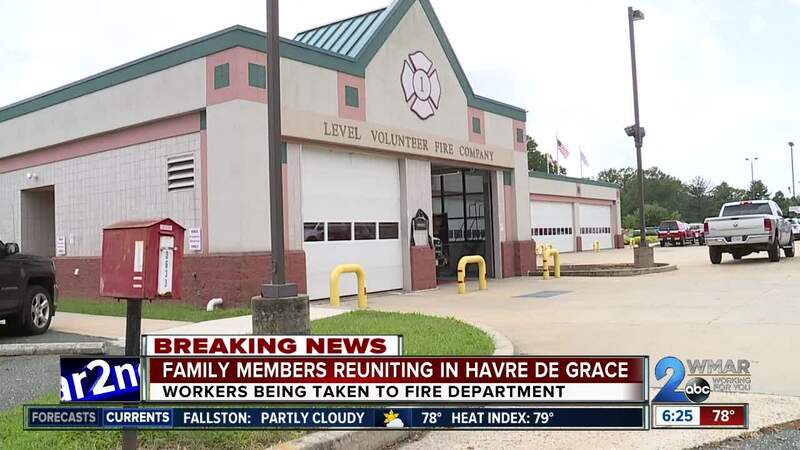 Family members are emotionally making there way to the Level Volunteer Fire Company in Havre de Grace to be reunited with their loved ones after a workplace shooting in Aberdeen. County officials instructed families to meet their evacuated family members after 26-year-old Snochia Moseley fired shots at a Rite Aid Distribution Center leaving three people dead and three injured before shooting herself in the head. 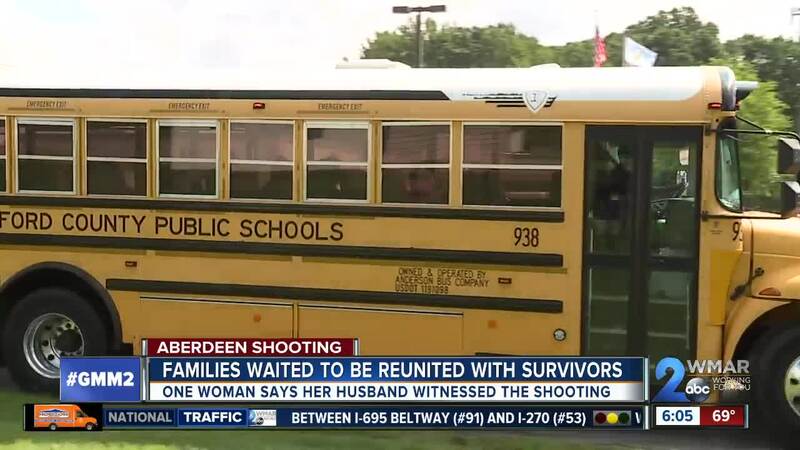 Family members were seen sitting outside the Fire Department waiting for buses to bring workers back to the reunification location. Some had a sigh of relief after hearing from their loved ones on the phone. "She kept on calling the phone calling the phone she finally answered and it was just like, I just wanted to her voice so it was just quick 30 seconds just to let me know she was fine and that was it, " said Reggie Rodriguez, a family member whose mother was working inside the building. Krystal Watson was emotional after hearing the news of the shooting. 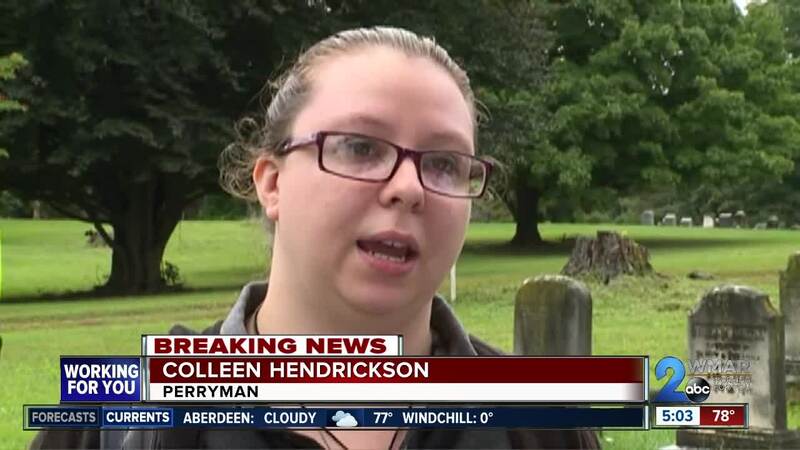 She told WMAR-2 News that her husband was in the center when the shots started. That's when she immediately made her way to the fire department to be reunited with him, but police had to ask him questions. "I'm just so happy I’m just so relieved that he’s okay. That’s all I wanted we got kids I just want to make sure my husband is okay," said Watson. Collin Hendrickson was just nearby standing by the bus stop when she heard of the shooting that took place just across the street from where she was. "I saw a lot of ambulances going, I know they were saying at least three victims at the time when I was listening. I just hope that most people are safe in there and it's just crazy and it's just real when it's brought to you doorstep like this," said Hendrickson. For those looking to meet up with family who worked in the distribution center, officials say the reunification center at the Level Volunteer Fire Company is currently closed. Anyone seeking information about a loved one involved in the workplace should go to the Southern Precinct.